We’re the Natural Gay-Friendly Hotel Choice! 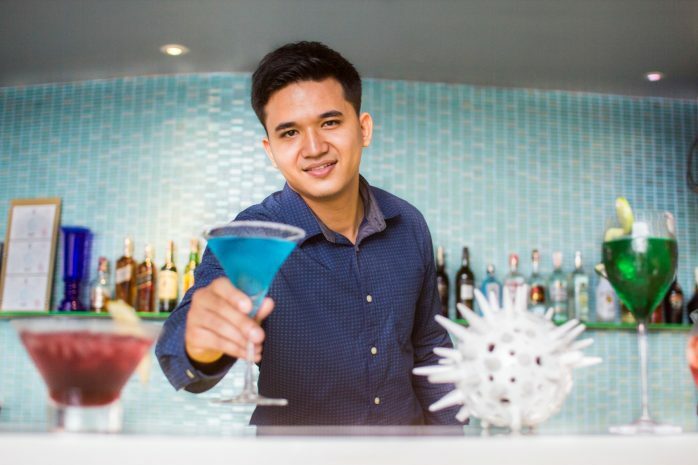 Pattaya is the best place for a gay-friendly fun vacation in Thailand and Hotel Baraquda Pattaya MGallery by Sofitel is the perfect gay-friendly hotel to stay in Pattaya with bespoke amenities, first-class facilities and warm personal service for all its valued guests. Out of the many gay-friendly hotels to choose from in Thailand’s favorite holiday destination Hotel Baraquda is the natural choice and one in which our gay guests can feel completely relaxed in their Pattaya home away from home as they live it up in true Hotel Baraquda style with class-leading levels of comfort and space in one of our luxury rooms or suites. At Hotel Baraquda everybody who walks through our doors is much more than a mere guest but a true and cherished friend of ours which is why we consider ourselves one of the most gay-friendly luxury hotels in Pattaya. The people of Thailand are very open-minded and gay-friendly and gay guests are welcomed throughout the country no matter where it may be which goes double for Hotel Baraquda where our caring and friendly staff are on hand to provide the best 5-star personalized service in Pattaya to our valued gay guests, so they enjoy their time to the fullest in Thailand in the best gay-friendly hotel during their visit to the exciting city of Pattaya. Pattaya is renowned as a vibrant vacation hotspot and the massive list of things to see and do is almost endless. Our gay guests will have the time of their lives experiencing all that Pattaya has to offer, from fun beach activities such as paragliding above and scuba diving below the shimmering sea to dining on every cuisine imaginable and taking a host of selfies and weenies at one of Pattaya’s many entertainment attractions before hitting the exciting nightlife which Pattaya is renowned for. Hotel Baraquda is the perfect location to experience everything on offer being in the center of town close to the best gay-friendly attractions in Pattaya and is considered by many to be the best gay-friendly boutique hotel in Pattaya by offering 5-star opulence, beautiful décor and the most comfortable rooms in town, all provided with the superlative standards of an MGallery by Sofitel hotel.